Practising what he preaches, AJ constantly achieves outcomes described as “impossible”. E.g. Utilising his “10 Principles of Entrepreneurial Thinking”, AJ sold out a 10-gig international speaking tour in 2 days when organisers couldn’t generate any ticket sales for 6 months. For his Entrepreneurial Leadership activities, AJ was named the NT Young Achiever of the Year in 2008 by Awards Australia. 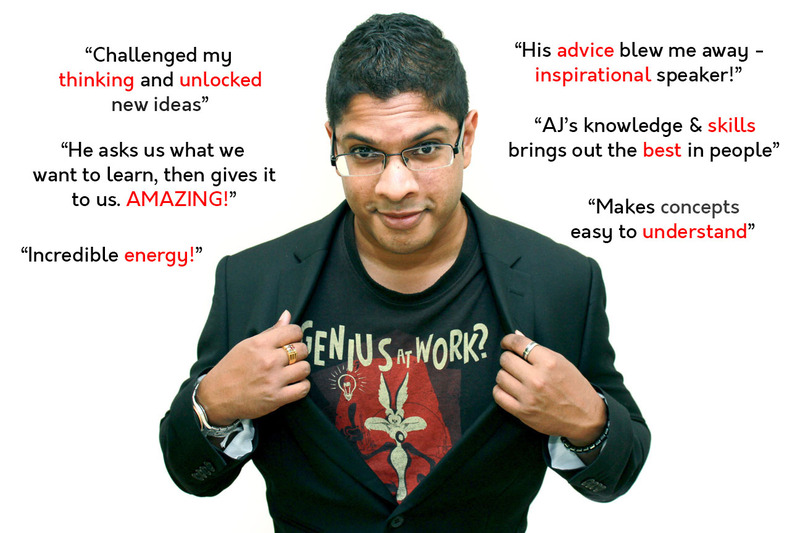 Combining his unique perspective on problem-solving with phenomenal energy on stage, AJ’s keynotes offer audiences an incredible experience to learn new ideas. Away from the stage AJ loves Stand-up Comedy, tinkering with cars and jamming with Google Home on his guitar. Having built an award-winning career disrupting the status quo, AJ approaches Innovation, Change and Growth through the eyes of an Entrepreneur. When he was 7 years old he started a neighbourhood newspaper; at 14 he started a website development business and at 23, AJ ran away from a bad boss to pursue a lifelong dream of running his own consulting firm. After growing the business to 13 staff members and winning several industry awards, AJ decided to pursue a bigger dream – to become a professional speaker and inspire others to awaken their Entrepreneurial Mind. Setting up the NT’s first Technology Training Centre for small business owners – the first of it’s kind in Australia. As a result of his Entrepreneurial activities, AJ won The Young Achiever Awards and was recognised as the NT Young Achiever of the Year in 2008. 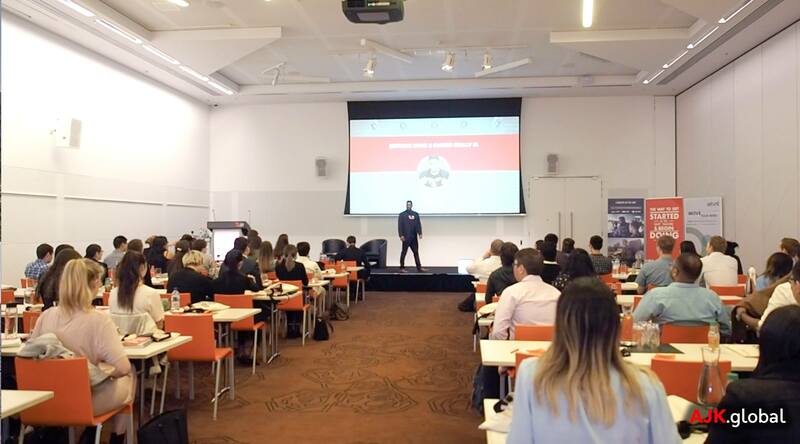 AJ has a Bachelor of Business Systems Degree and a Graduate Certificate in Business (Banking and Finance) from Monash University and travels globally to speak. Using his professional experience and constant drive to achieve the impossible, AJ will create a sensational experience for your audience that lasts long after your event is over. Book him as your speaker and watch audiences come alive with excitement!